If you’ve been on the hunt for car dealers in Harrisburg PA, then you likely know how frustrating it can be to find a Ford dealership near you that meets your needs. When you’re searching for your next car, it’s vital to view a wide variety of vehicles to determine which one is the right fit for your lifestyle and budget. You’ll want to shop with a Ford dealer in Harrisburg PA that offers a broad selection of all sorts of cars, trucks, and SUVs in one convenient place. Of course, finding a dealer with an extensive selection of vehicles is only half the battle! The right dealer for you will also have a staff of friendly and experienced car experts to help you in your search. Where can you find car dealers in Harrisburg PA that meet all of that criteria? The answer is clear - Bob Ruth Ford has the comprehensive inventory and courteous customer service that you need to make your ideal car purchase. Why else should you buy from Bob Ruth Ford? We utilize the latest technology to buy price our vehicles as competitively as possible so that we can offer the best deals to be found in Pennsylvania! You can be sure of a straightforward and transparent buying process with no gimmicks and no pricing games. If you’re looking to buy with Bad Credit, Bob Ruth Ford is the way to go. Our Guaranteed Credit Approval Program means that you can be sure you’ll qualify for the loan you need to get into a fantastic car that you’ll love to drive! Our extensive inventory of new and used cars features over 400 vehicles for our Harrisburg PA customers to choose from, ensuring that you can find a car you’ll love at a price that fits with your budget. Take the stress out of finding new and used cars in Harrisburg PA by shopping with the trusted Ford dealership near you - Bob Ruth Ford. We’d all like to be able to buy a new car, but sometimes there isn’t room in your budget for that. That doesn’t mean that you can’t still get your hands on a modern car that’s loaded with the latest features! Many car buyers are under the impression that if you want a high-quality vehicle at a fair price, you have to buy new. At Bob Ruth Ford, we want to show you otherwise. Don’t fall into the trap of thinking that you have to buy new to get a great deal on a top-notch vehicle! Our selection of well maintained, high quality used cars has something for every Pennsylvania buyer to enjoy. Whether you’re looking for a reliable daily driver to handle your commute and various errands, or a rugged pickup truck with the power to chew through your toughest jobs with ease - you can find a variety of fantastic used vehicles that fit the bill at Bob Ruth Ford. Buying used is a fantastic way to get hold of a car that looks, drives and feels like new - without paying new car prices! Browse our entire stock of used cars in Harrisburg PA to view all of your options in one convenient place. When you’ve found some vehicles that seem appealing, we encourage you to call and schedule a free test drive! 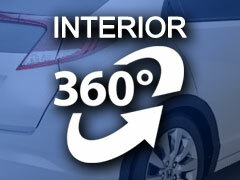 The best way to tell if a car will meet your needs and wants is to see it in person and get behind the wheel! Deciding what make of car to choose for your next new or used purchase can be tricky. If you’ve had your eye on a Ford car, truck or SUV - then you’re making a great decision. Ford is an iconic American automaker with a long track record for producing top quality vehicles at affordable prices. Whether you need a robust pickup truck for towing and hauling or a fuel-efficient sedan to handle your commute, Ford has a plethora of options that will fit your needs and budget. For those in the market for their next truck, we suggest checking out the time-tested Ford F150. This one of a kind truck has been serving PA drivers faithfully for generations, and with plenty of high tech features to offer, there has never been a better time to drive an F150! Steering wheel audio controls allow you to stay in full command of your music while keeping both hands safely on the wheel. With an impressive 2.7L engine, the F150 has the power you need to get through your toughest days on the job. If you’re interested in an incredible Ford sedan, the Ford Fusion is a rock solid choice. Whichever kind of Ford car you choose, you can be sure that you’re getting an outstanding deal on a top-notch car truck or SUV from the Ford dealership near you - Bob Ruth Ford.